An invention that promises to revolutionize the way the world lights its homes and offices—and already helps create the glowing screens of mobile phones, computers and TVs— earned a Nobel Prize on Tuesday for two Japanese scientists and a Japanese-born American. 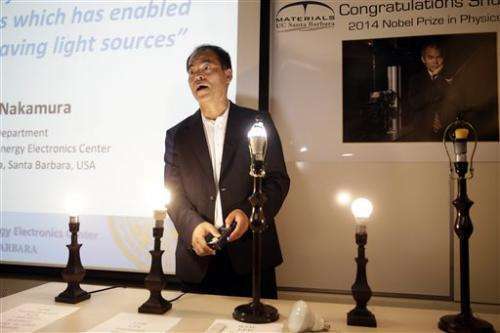 "Incandescent light bulbs lit the 20th century; the 21st century will be lit by LED lamps," the Nobel committee said in announcing its award to Japanese researchers Isamu Akasaki and Hiroshi Amano and naturalized U.S. citizen Shuji Nakamura. Their work, done in the early 1990s, led to a fundamental transformation of technology for illumination, the committee said. And when the three arrive in Stockholm to collect their awards in early December, "they will hardly fail to notice the light from their invention glowing in virtually all the windows of the city." At a press conference, Nakamura said he is "happy to see that my dream of LED lighting has become a reality. Nowadays we can buy energy-efficient light bulbs in the supermarket and help reduce energy use. I hope this helps to reduce global warming too," he said, reading from a prepared statement. Asked earlier if he realized the importance of his research early on, he told reporters, "Nobody can make a cellphone without ... my invention." 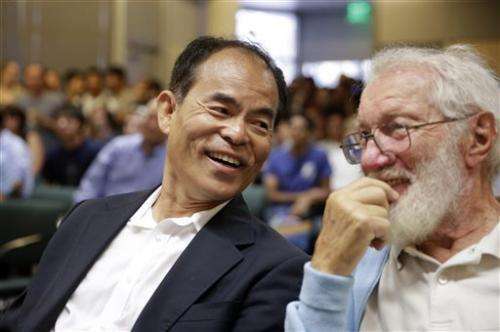 Akasaki told a nationally-televised news conference in Japan that he had faced skepticism about his research bearing fruit. "But I never felt that way," he said. "I was just doing what I wanted to do." Amano said in an interview on NTV aired from Lyon, France on Wednesday that he credits Japan's high school and university systems for his win. "To know that the ultimate purpose of education, or anything, is to do something to help people. That says it all," he said. It's "a fundamental invention that is rapidly changing the way we bring light to every corner of the home, the street and the workplace," H. Frederick Dylla, the executive director and CEO of the American Institute of Physics, said in a statement. For illuminating schools, homes and offices, "it's quite possible this will change everything. 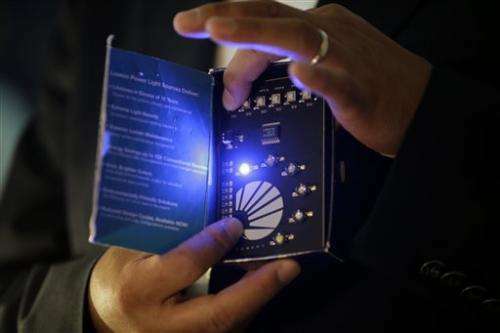 All the light sources could easily become blue-LED-based light sources," said Mark Rea, director of the Lighting Research Center at the Rensselaer Polytechnic Institute in Troy, New York. "It's touched (people) from the poor to the rich in a very short time frame," he said. The committee also said the efficiency of LEDs helps save the Earth's resources because about one-fourth of world electricity consumption is used for lighting. Not all reactions to the prize were laudatory. Many colleagues of Nick Holonyak Jr., a retired professor from the University of Illinois who invented the red LED in 1962, have long said his work was unjustly overlooked by the Nobel committee. In the past, Holonyak, now 85, has said the award was far less important to him than the work. "I find this one insulting," he said in an interview in Urbana, Illinois. On Monday, U.S.-British scientist John O'Keefe split the Nobel Prize in medicine with Norwegian couple May-Britt Moser and Edvard Moser for breakthroughs in brain research that could pave the way for a better understanding of diseases like Alzheimer's. 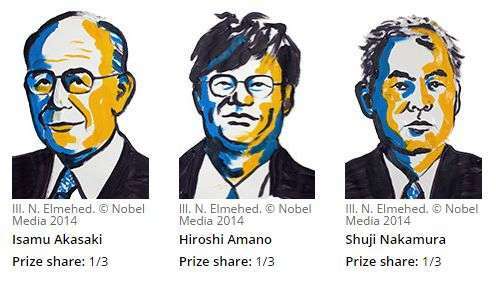 This year's physics prize, the Nobel committee said, was given with that idea in mind. 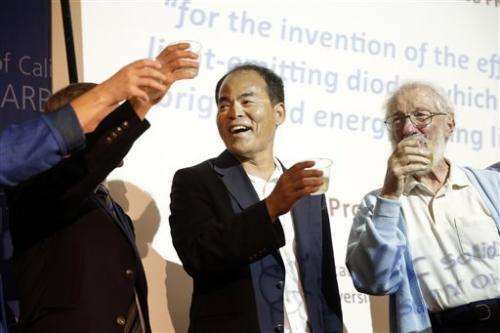 This year's Nobel Laureates are rewarded for having invented a new energy-efficient and environment-friendly light source – the blue light-emitting diode (LED). 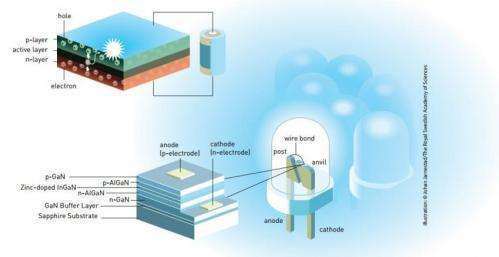 In the spirit of Alfred Nobel the Prize rewards an invention of greatest benefit to mankind; using blue LEDs, white light can be created in a new way. With the advent of LED lamps we now have more long-lasting and more efficient alternatives to older light sources. When Isamu Akasaki, Hiroshi Amano and Shuji Nakamura produced bright blue light beams from their semi-conductors in the early 1990s, they triggered a funda-mental transformation of lighting technology. Red and green diodes had been around for a long time but without blue light, white lamps could not be created. Despite considerable efforts, both in the scientific community and in industry, the blue LED had remained a challenge for three decades. It's interesting how the approach to R&D differs between the US and Japan. 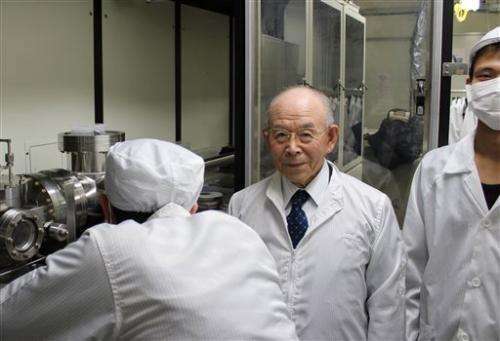 The Japanese firm persevered for decades, working to find the answer, never seeing a return on investment, and being told it was a fruitless endeavor. Their ability to see the potential payoff made it a reality. American firms rarely show a trace of such patience, and seem ready to throw in the towel after the first setback. It's usually left up to academic researchers who have large grants and plenty of time. I think that's mostly because of economic pressure though. The stock markets, and banks, are all set on immediate results. I work in a skunk-works of sort, and we do have long range goals. That being stuff that is 5 or so years out, but we must continue to meet short term goals and needs. American investors... not so much American companies are to blame for this behavior. Thats balony about Japanese R&D being superior to America or anywhere else. Shuji Nakamura was virtually an outcast at Nichia Chemicals working on this project and once he made the blue LED breakthrough - put Nichia Chemicals on the world stage and made them enormous profits. Yet Nichia denied him his fair share of the royalties, and he successfully sued them for compensation - a landmark case for bonded serfs in warlord like feudal Japanese corporations. And also, why did Nakamura feel the need to emigrate to the USA - for intellectual freedom and economic fairness. I hope Nakamura feels vindicated and Nichia lose face. Congratulations! A great achievement - intelligence coupled with perseverance. Now we all await the Peace Prize announcement. Let us only hope that the committee has remained independent. This is a bigger development in the long term than the column says. The low-power and low-voltage devices allow their use with PV systems and simple batteries. It means third world countries do not have to wait for some large company or the government to electrify them, they can do it themselves. Then, they can connect into microgrids of low voltage, andconnect the microgrids together with higher voltages. This is the difference between "tech" and "science." 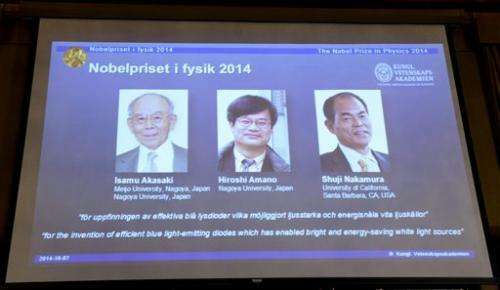 The Nobel Prize for an LED? So we can force people to pay $25 for a light instead of $0.50?